I think you’ll agree with me when I say that travelling in India is not exactly a walk in the park. 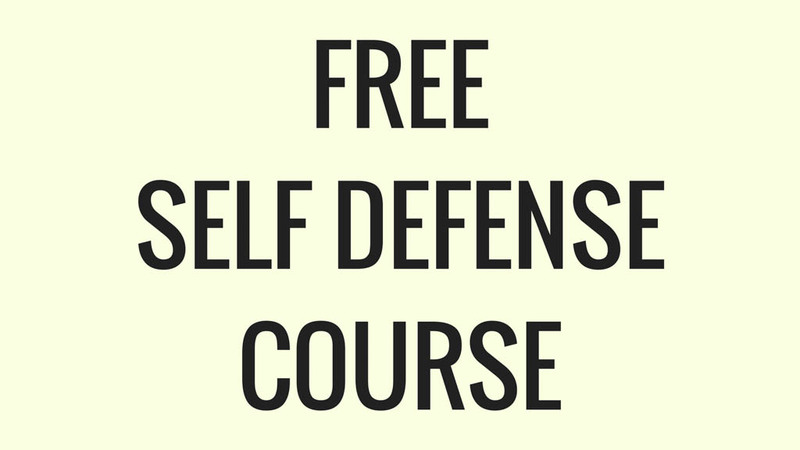 From the minute you step into the chaos, every assault on your senses is being locked, loaded and fired. Whilst your cochlea is frantically trying to keep a lid on the ‘honk hoooonk’ of the tuk-tuk racer boys, your eyes are overloaded with the abundance of technicolour bursting directly into your retinas. The delicious scent of freshly deep-fried samosas and sweet-syrup drenched jalebis rushes up your nostrils as you quickly dodge the rising tail of a mud-caked cow. Your fingertips gently brush through exquisite silk scarfs, before they wrap around a steaming cup of frothy chai. Are you nervous about travelling in India? which changes the lives of the locals you meet forever? 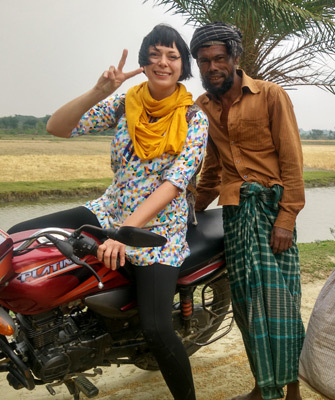 Want to make impactful connections with locals and experience the real India? Make your Taj Mahal dream a reality in Agra! Who are Hands on Journeys exactly? 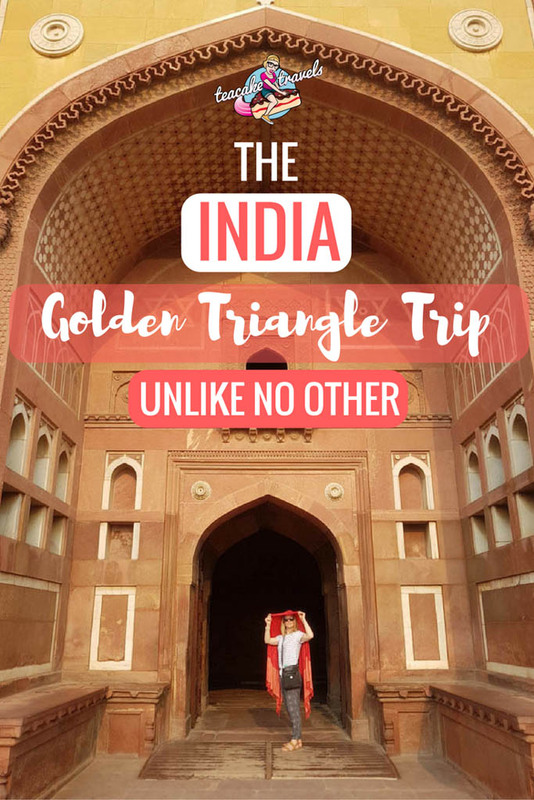 What is the Golden Triangle in India? It’s a triangular route exploring the three most visited cities in India’s northwest! It’s the perfect introduction to India. A Delhi Jaipur Agra tour invites you to explore unforgettable architecture, bustling mystical bazaars and legendary landmarks. I made it to the Taj Mahal! Yet, are you looking to do so much more than rush through these cities and leave without making an unforgettable impact? Hands on Journeys are quickly taking sustainable and responsible tourism to a whole new level. 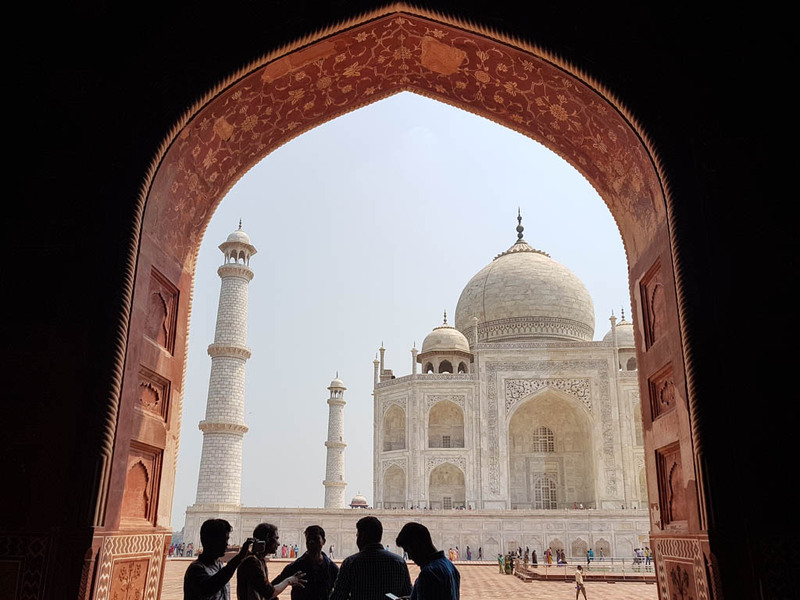 Whilst travelling through Delhi, Jaipur and Agra seeing all of the amazing sights (yes the Taj Mahal is totally on the itinerary!) you will spend 20% of your time working directly with the locals in the slums. 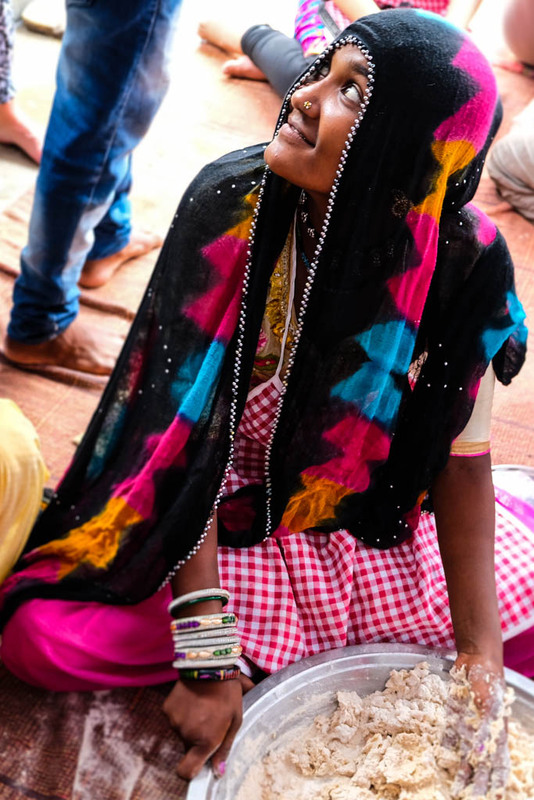 You will be a part of everlasting life-changing work through women empowerment projects: something which isn’t on your usual India tour packages list! This isn’t about building schools and toilets and leaving. This isn’t about giving locals money and wishing them well. 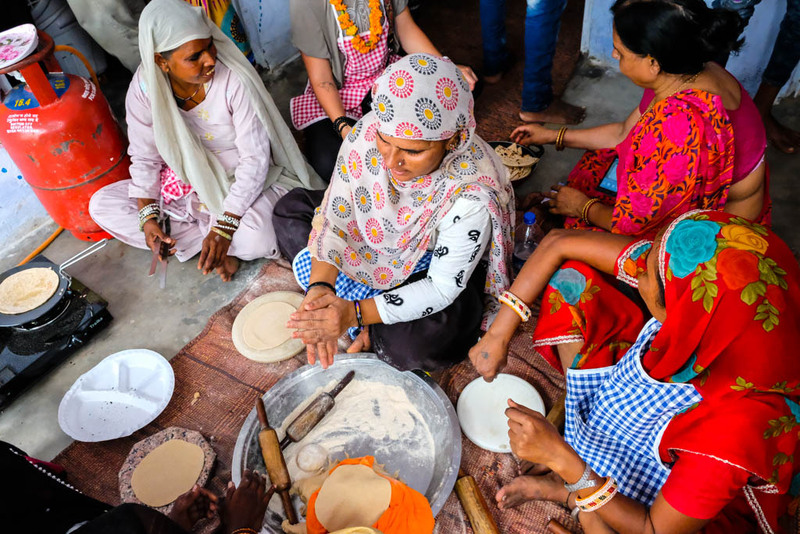 Empowerment tourism is so much more than that on this Golden Triangle India Tour. Hands on Journeys works hard to establish loving and trusting relationships with local communities in need. 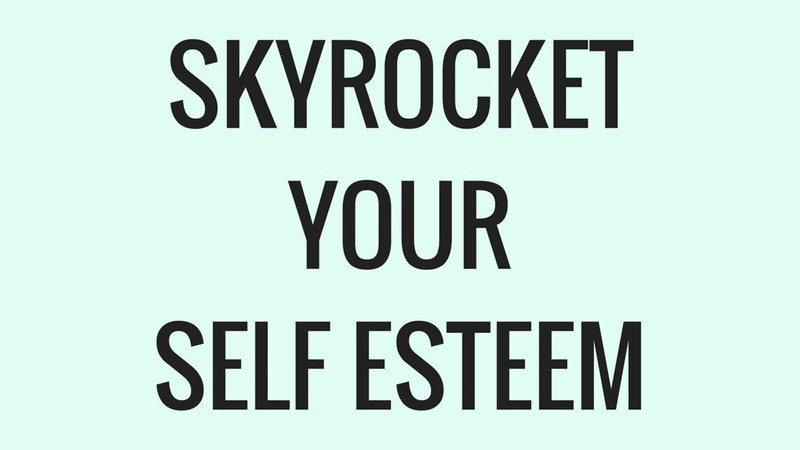 In India we’re teaching local women their self-worth, then asking this key question: What are you good at? Everyone has a unique personality and skills others don’t have, regardless of class and economic status. Hands on Journeys helps the women identify their strengths, brainstorm what entrepreneurial business they can give birth to, then gives them the tools and training to succeed. As a result, the women’s self belief sky rockets, their children go to school, there’s food on the table and the next generation’s prospects increase. I’ve taken part in and seen the results first hand. The Hands on Journeys experience completely changes you as a person. 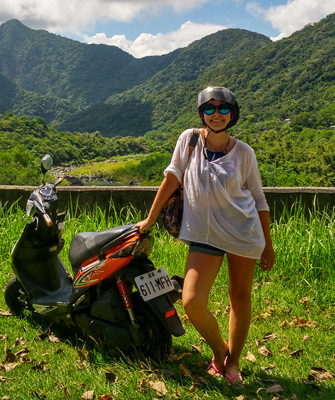 Whilst I’m pushing my boundaries and reaching my full potential through travel, I’m now leaving a country having empowered the community within. Transform from a visitor to a game changer! The Hands on Journeys team with the local Indian women in Jaipur! Between all of the amazing empowerment work you’ll carry out, you’ll be experiencing the best Delhi Agra Jaipur tour package! You’ll be with a group of around 12 people just as passionate as you. Travellers coming on the trip are from all walks of life. They’re all ages and naturally lovely people considering the purpose Hands on Journeys is about. The tour includes 9 nights at three/four-star hotels, airport transfers, a passionate bilingual local tour leader and daily breakfast, lunch and 6 dinners. 10-16% of the tour costs go directly into the women empowerment projects! Virtual high fives all round! Use special code teacaketravels at checkout to receive $100 AUD discount! Let me show you the sights you’ll see with Hands on Journeys! First stop: Delhi. Yes, Delhi is pretty darn hectic and overwhelming, but Hands on Journeys will be there at the airport to pick you up and take you straight to your hotel. To help others, you need to take care of your needs first. So take a deep breath, relax and acclimatise yourself to the adventure ahead. Take this opportunity to meet and bond with your comrades, rest up and become infused with utmost excitement, inspiration and energy. We’ll explore Delhi in-depth in the last leg of this tour. First stop: Jaipur! You’re going to spend 3 days in total here; and rightly so! 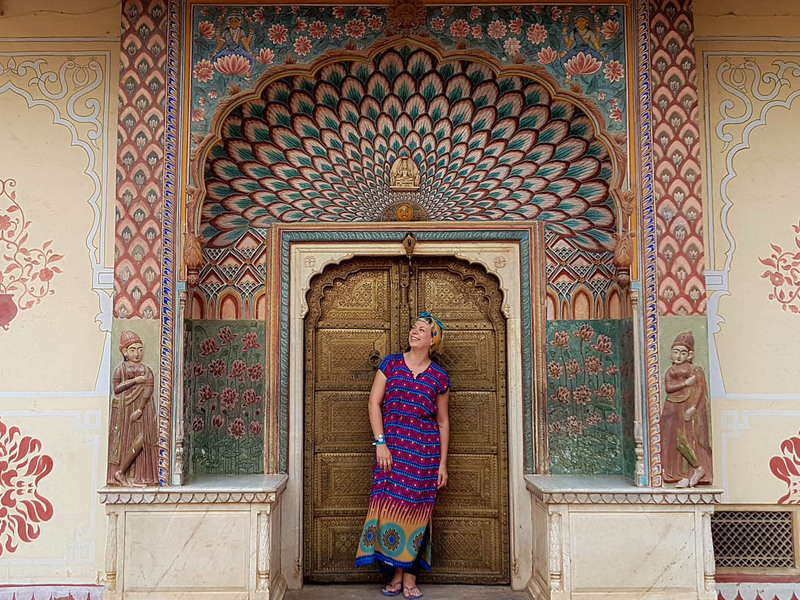 The capital of India’s Rajasthan state, Jaipur City is unashamedly flamboyant, architecturally stunning and full of buildings painted in my favourite colour: pink! Maharaja Ram Singh demanded the city be painted pink. Pink signifies the colour of hospitality for India and the city was transformed in 1876 when Queen Victoria visited here on her North India tour. Good job Singh! 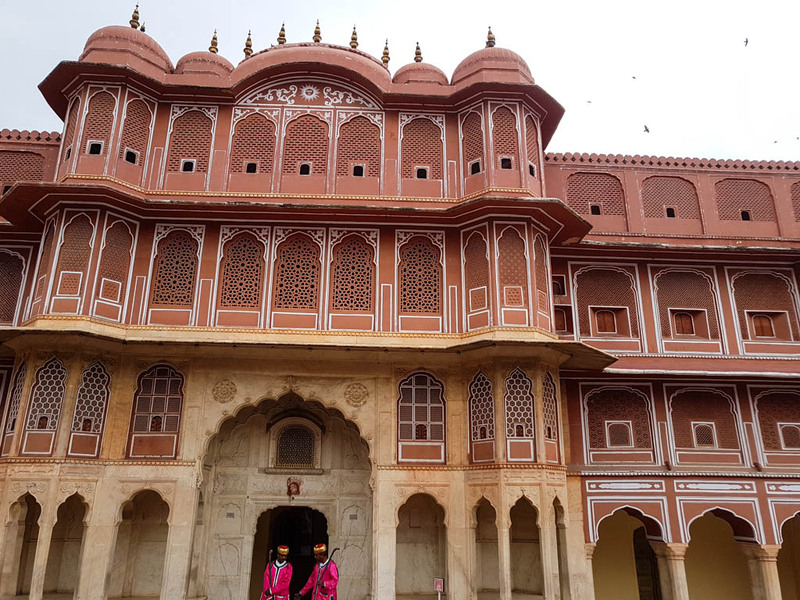 Housing the former royal family, you will be transported to a spectacular world of dazzle and glitz within the City Palace on your Rajasthan tour. After exploring the nooks and crannies, you’ll be transported to the chaotic hustle and bustle of the streets outside. You’ll find camels slowly dawdling past Jaipur’s infamous bazaars as your driver successfully dodges them on the road ahead. The secrets of astrology and astronomy will fascinate you as you visit the royal observatory of Jantar Mantar. Gawping and craning your neck up to take in all of Hawa Mahal is quite an experience too! Lastly, venturing out to the fairytale countryside of Amber Fort will leave you mesmerised. It is humongous! 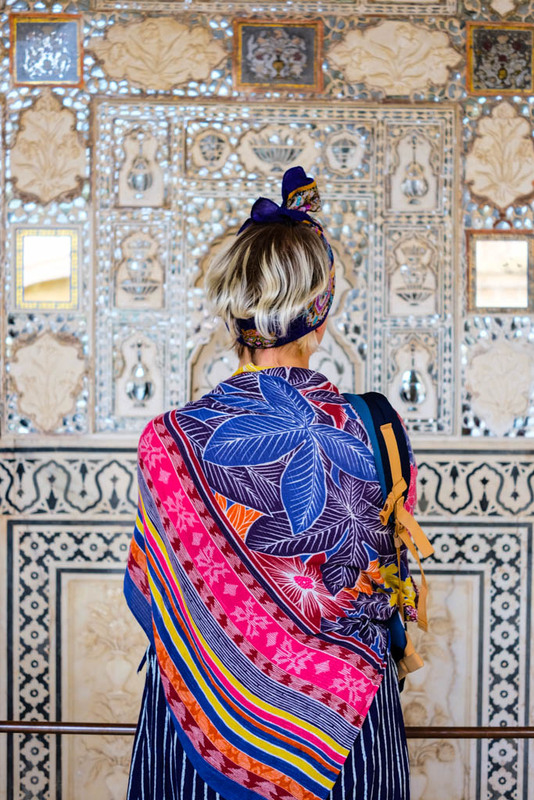 Amongst all of the wonderful sights you will visit in Jaipur, the pink city is also where you’ll be carrying out your first Hands on Journeys project. I specifically worked with the local women in the slums, to help them set up their own cooking school. Hands on Journeys helped the community recognise just how good their roti and aloo gobi curry was. Damn it really is good. We helped them set up their cooking business by supplying them with the necessary tools: cooking stoves, pots and pans. We were then blessed to be their first cooking class students! It was an absolute blast! So much singing, dancing, cooking and encouragement was shared. I came away finally knowing how roti is made. Spending time with the local women, one-on-one, and just hanging out with them in their local home was a wonderful experience for me. 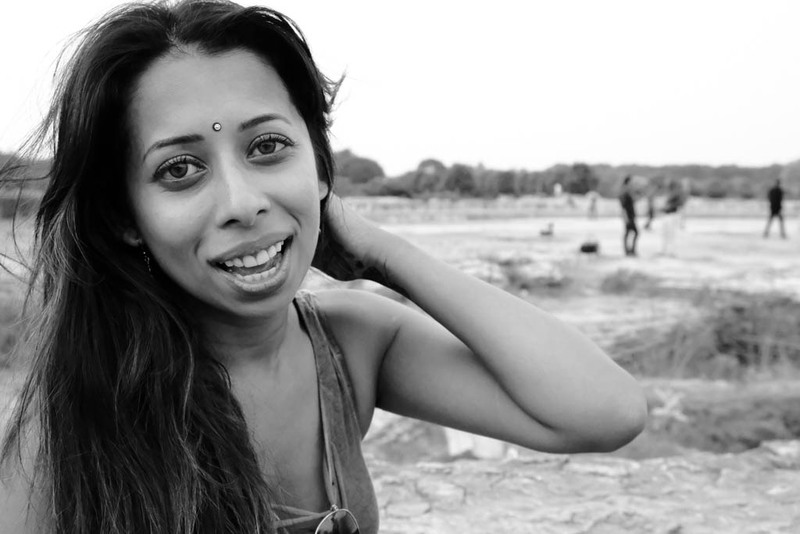 As a solo female traveller, this can be difficult to make happen in India. With Hands on Journeys, this opportunity came easily. 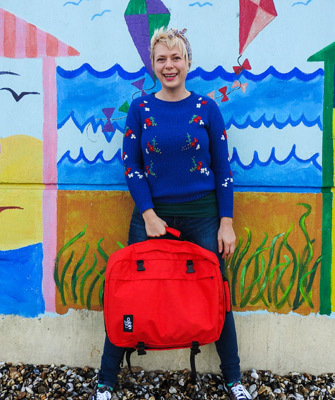 I was in safe hands, and knew that my time and energy there was genuinely making a difference. Next stop: Jaipur to Agra! Ever since watching Disney’s Aladdin as a little girl, I’ve dreamed of standing before the Taj Mahal and finally seeing it with my own eyes. For such an iconic moment built up in my mind, I wondered if it would live up to my wishes. Would it really be as magnificent as I hoped? Would I be able to get that ‘shot’ without a ton of people standing in front of me? Hands on Journeys will make sure you do get that shot. Then they’ll take you to a secret spot to get an even better shot. They’ll take you to see the Taj Mahal at sunset where hardly any tourists are. Don’t forget the beautiful morning yoga you’ll be invited to too! 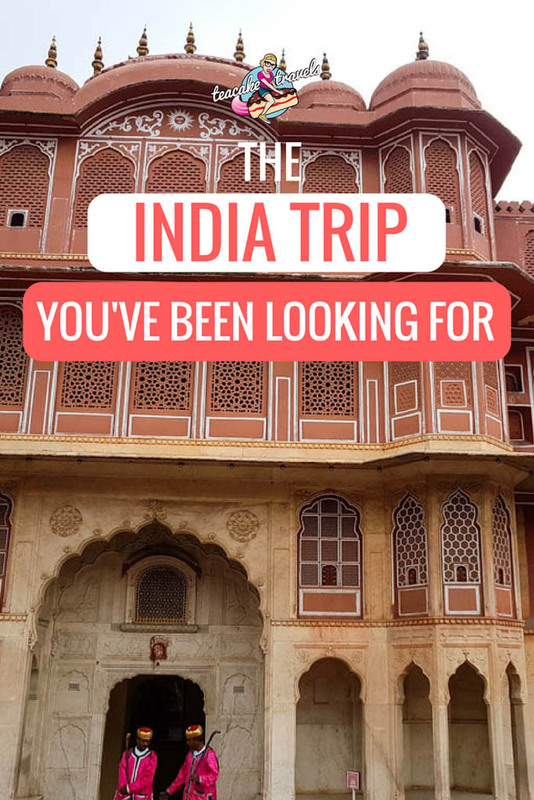 Whilst you’re basking in the glory of having made it to Shah Jahan’s symbol of love for his wife Mumtaz Mahal; you’ll find yourself shedding a tear at Agra Fort. It’s a pleasure to see, but also a place pulling at your heartstrings. Shah Jahan was imprisoned here by his third son Aurangzeb for 8 years, until his dying breath! Shah Jahan had his own veranda, looking directly out towards the Taj Mahal. He continued gazing at it until his last moment. Argh love! 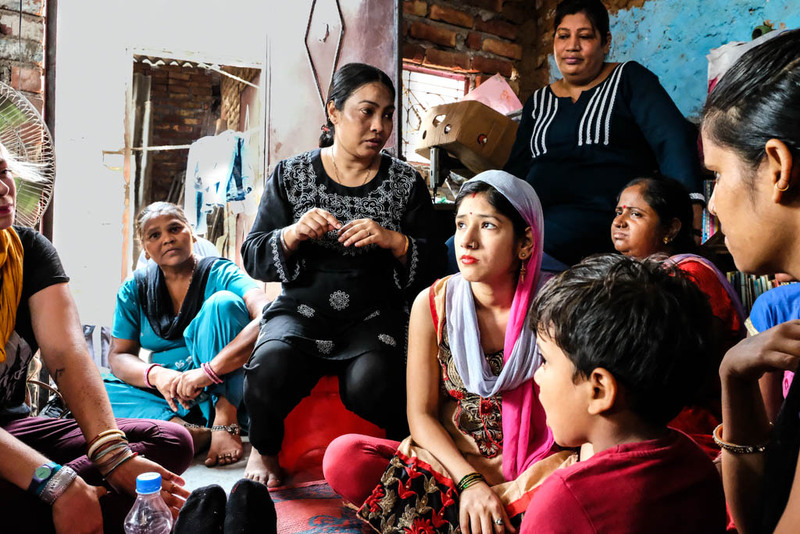 Making your way back to where you started in Delhi, you’ll be starting your final women empowerment project. Hands on Journeys place this project at the end of your trip for a reason: it’s tough. You’ll be wondering into a Delhi slum which the Indian Government and Google Maps don’t even register as existing. Tourists don’t come here and the atmosphere is poignantly heavier and closed off compared to Jaipur. Regardless, Hands on Journeys are making serious progress here in collaboration with Thrive Seed. The results produced so far are highly encouraging and the difference being made in the women’s lives are obvious. And meeting these women was one of the most powerful girl power experiences I have had on my travels so far. Through an interpreter, I had a chance to talk openly with these women about my life and theirs. We talked about how our cultures differ and the troubles we face as women. My respect for these ladies is immeasurable. 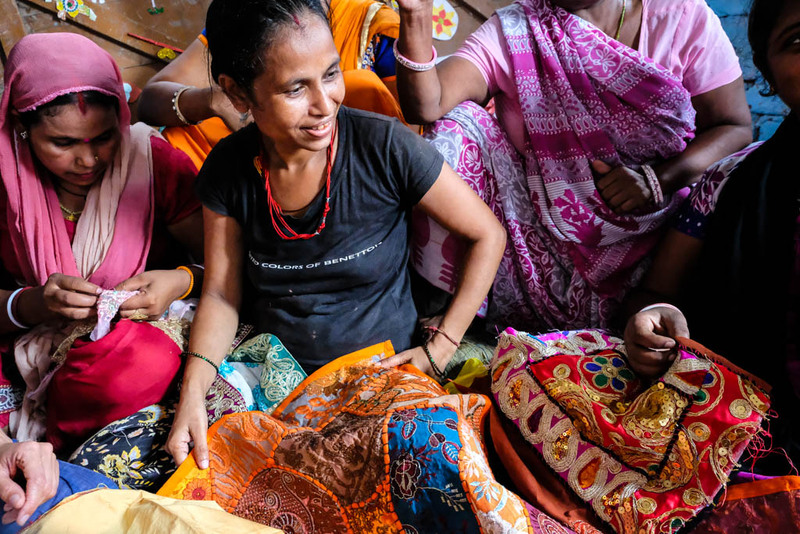 In my time with these women, we helped them cut out the middle man in their artisan textiles business. We gave them a couple of iPads to show them how to conduct an eBay store online, set up a website for them, and they’re now selling their beautiful creations directly online. 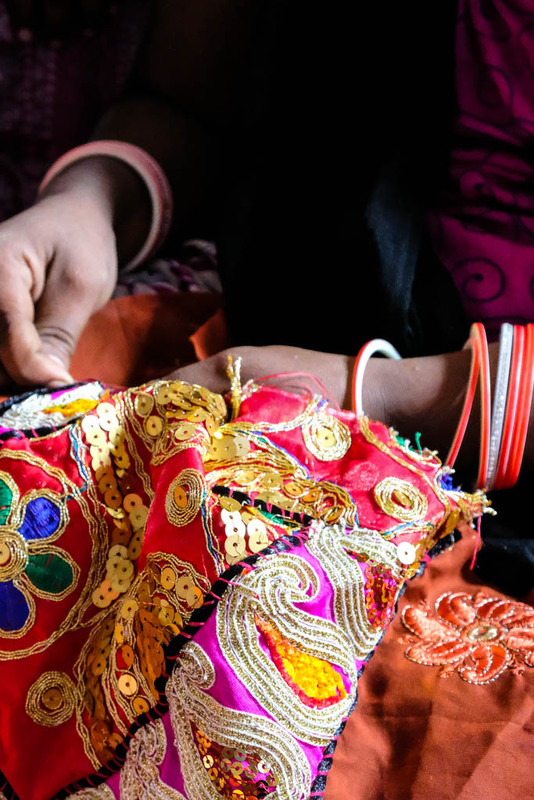 Hands on Journeys are so much more than just helping communities earn money. Mentally and physically, these ladies have been through hell and back. Having a space where they can come to and gain respite for a couple of hours, is priceless. They’re sharing stories, supporting each other, learning how to take care of themselves and how to communicate more assertively with their husbands. Time for some Golden Triangle Delhi! Hands on Journeys will whisk you through India’s capital like a total pro, so you experience the absolute best. 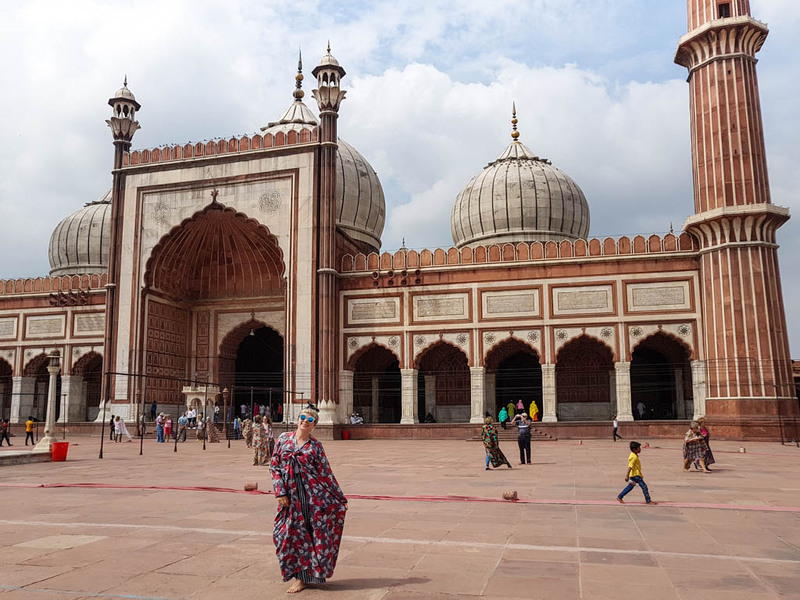 You’ll find yourself draped in flourishing floral dressing gowns in the morning at Jama Masjid (required for respect but this kitsch fashion is off the charts). Take your time here to soak up the mosque’s goings on and appreciate just how far you’ve come on this journey. 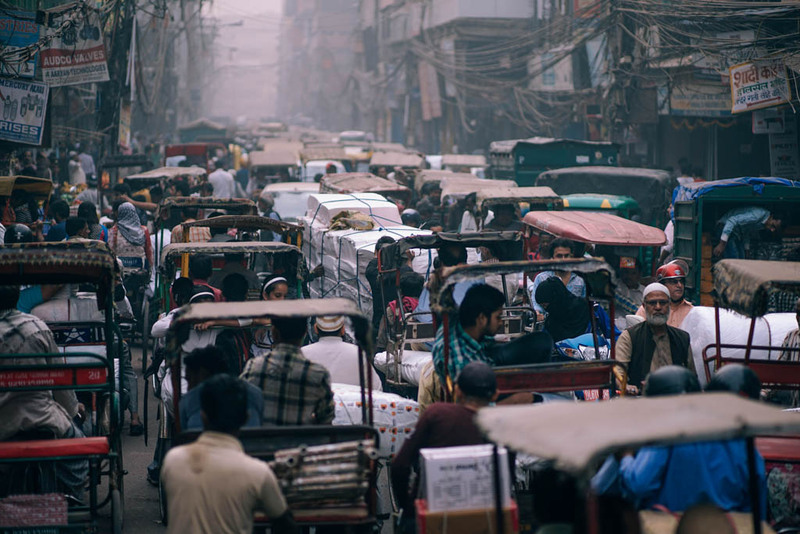 Dive into Delhi’s bazaars if you’re brave enough to face the never-ending crowds, cows and chaos! Personally, this is totally my jam! Get lost in the 13th century red sandstone ruins of Qutub Minar. 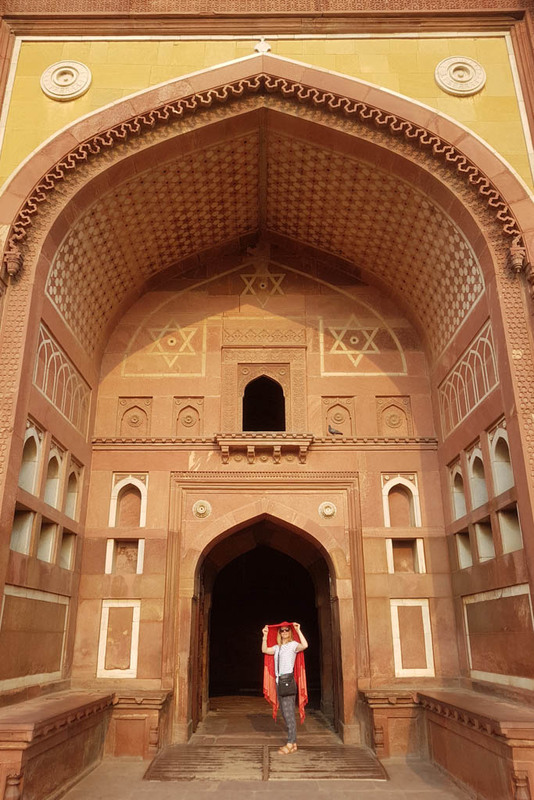 Renowned as Delhi’s last Hindu Kingdom, this site was defeated and transformed by Muslim rulers. Their takeover resulted in the world’s tallest brick minaret. 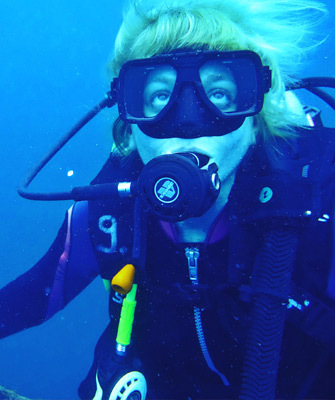 UNESCO gives it the world heritage site seal of approval! Last but not least, take some time to meditate away from the beautiful madness of Delhi at Lotus Temple. It’s open to all religions and can hold up to 2500 people. High fives for world peace people! When it came to the last day of our trip, and I was asked to say a few words at dinner…it hit me hard how much this journey has changed my life. I learnt how fulfilling it is to travel in a group with like-minded people. I learnt that it is possible to have an everlasting impact on the communities I venture into. I’m at a point where I’m not just focusing on self-improvement now. Travel is about improving others’ lives as well as my own. I’ll never travel the same way again. Every country I visit: I’ll be hunting down where I can make a difference. Hands on Journeys is THIS woman: Simla Sooboodoo. The most inspiring, driven, kickass chick I’ve come across in the last year. I’m not going to mince my words: this woman has been through hell. Childhood was very difficult: her parents weren’t happy people and there was not enough food on the table. Her Grandmother took her under her wing but she died after a fatal fall in Simla’s arms when she was just 16. In a fortunate turn of events, her Auntie and Uncle took over her care and moved her to Australia when she was 18. 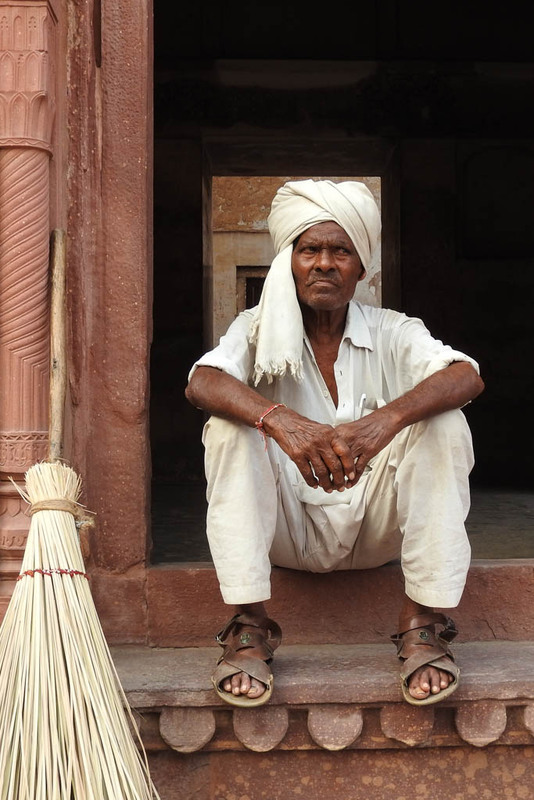 During this time Simla gained access to a better life and education. Yet, in May 2007 she suffered from a brain haemorrhage, losing 42 days of her memory and then suffered from an aneurysm in October of the same year. Experiencing two brain surgeries just a couple of months apart and making it through, Simla realised…If a higher power was determined to bring her back to life (twice! ), then she truly had a higher purpose to fulfil. 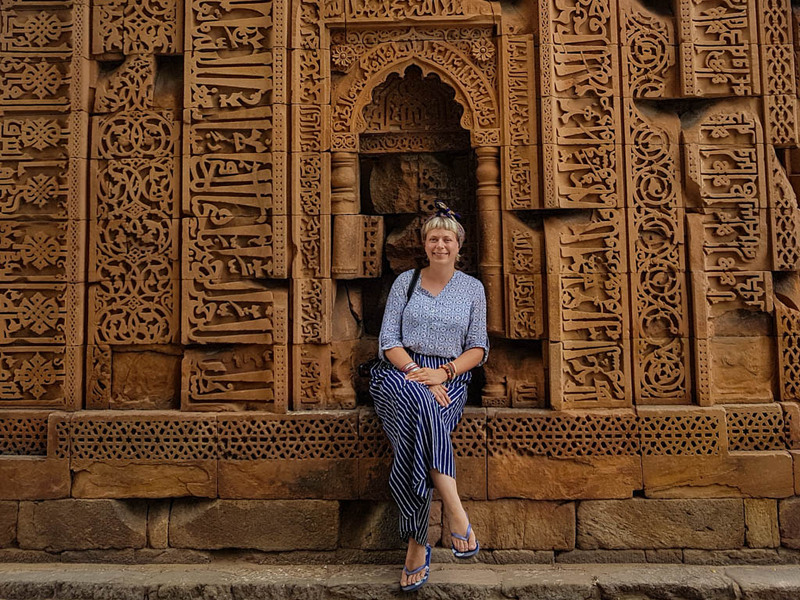 Simla has taken her passion for travel, women and children and put every ounce of her love and energy into Hands on Journeys. Can I get a hallelujah? 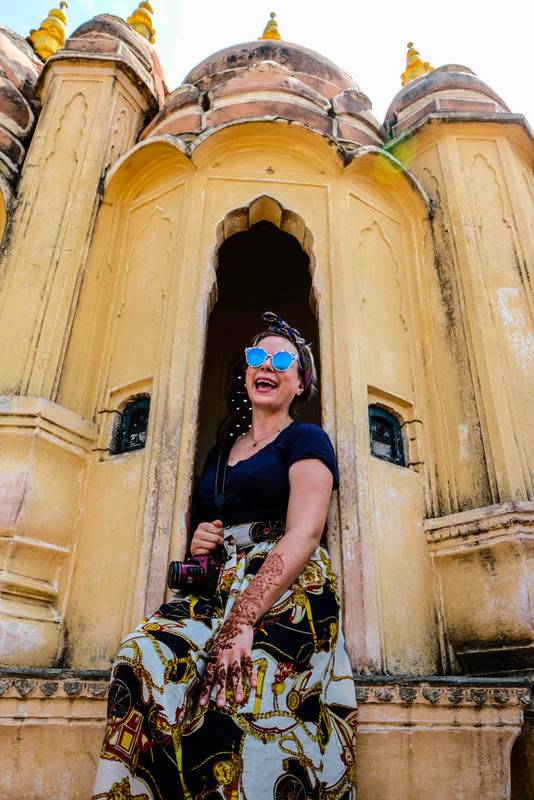 Hands on Journeys India Golden Triangle Tour Package combines the roller coaster experience of travelling through the Golden Triangle in India (Delhi, Jaipur and Agra) with female empowerment projects along the way. Use special code teacaketravels at checkout to receive your $100 AUD discount! *Photo Credit* A big thank you to my fellow Hands on Journeys tribe member Whitney Leigh for allowing usage of her stunning photography here. You can find her shots on Instagram. Disclaimer: By far the best travel experience of my life yet, was made possible by Hands on Journeys. They provided me with a complimentary trip to India on their Golden Triangle Women Empowerment tour. If they sucked, I’d tell you…but they’re now my heroes. All opinions in this article are wholeheartedly my own. Women Empowerment in India is Thriving! Your images instantly captured my eyes. They are certainly mesmerizing and display your immense creativity. The golden triangle is a perfect choice to explore the northern side of India. Oh yes, the vibrant colors would sure explode your retinas :P but its totally worth it, it’s much more vibrant if you go to the west side. 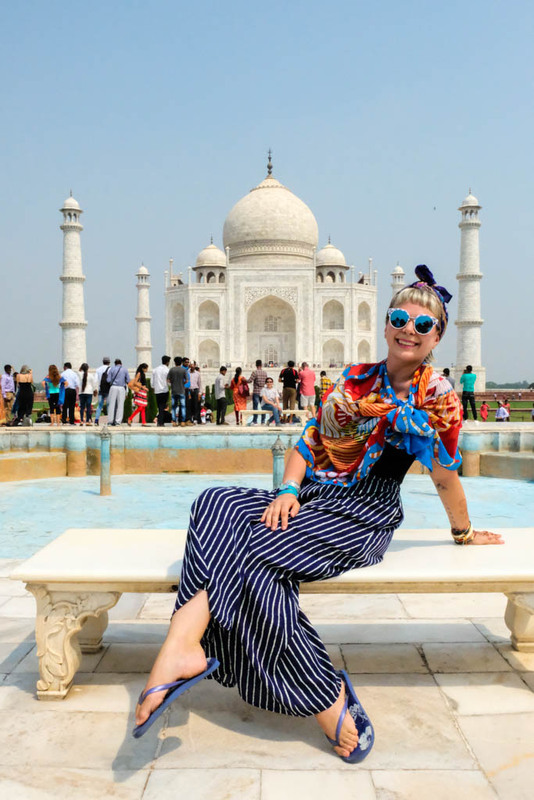 This looks like a great experience – I would absolutely book a tour if I were to visit India rather than try to do it on my own – even better knowing the inspirational story of the tour founder! I always tell my friends who want to visit India to look for a good company that can do a guided tour for a few days. I’m glad you found one, I can see that they took care of a lot of details and you seemed to have a great time in the golden triangle. I’ll pass the name on of this company to my other friends who’re looking to visit too, thanks! Sounds like you had a great journey, and it is great that you were able to give back and do a bit of volunteering during your Golden Triangle tour. Looks like you also go to see a few of India’s highlights on the trip! Certainly did! Really happy to have been a part of these women empowerment projects and make a REAL change! Sure, the Golden Triangle is a popular choice and for all the right reasons too. 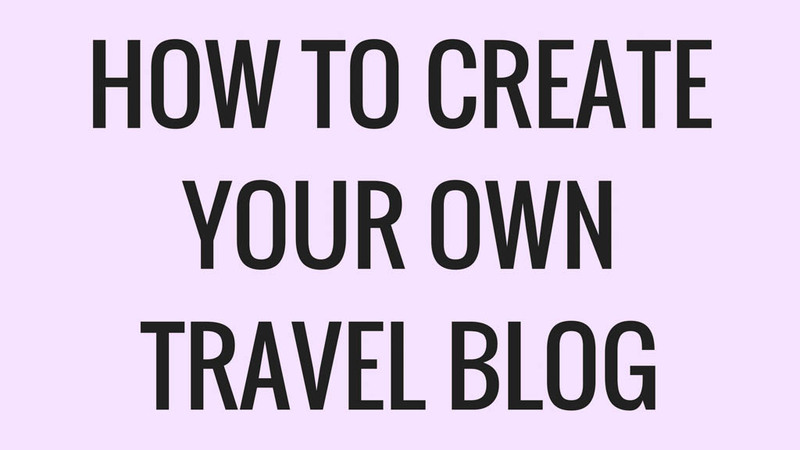 But many travellers tend to go back with just that tiny slice of the cake. India has so much more than just Delhi, Agra and Jaipur. I have been to India many times, as my parents emigrated to the UK from India, and we would return to visit family every few years. I totally agree that visiting can be quite challenging, even more daunting for a solo traveller not least the marvellous but overwhelming assaults on the senses! 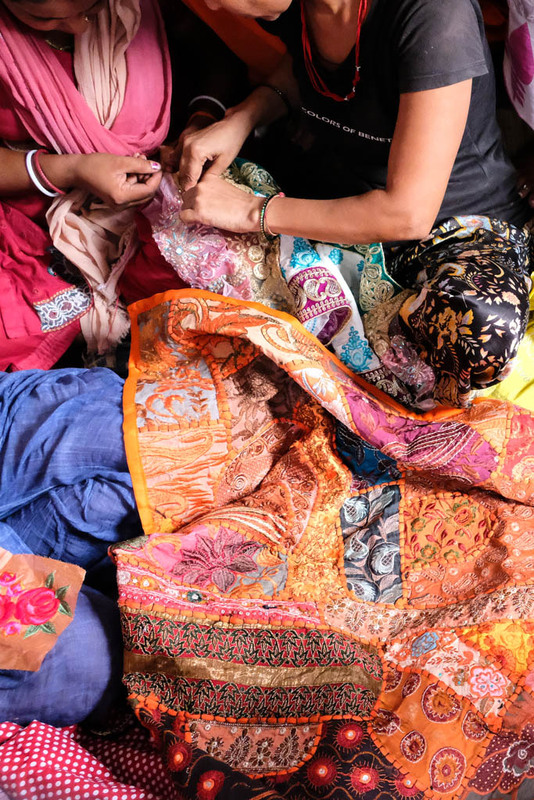 Hands On Journeys looks like a great tour option for those wanting to have a guided visit to all the best places, and contribute real help to women empowerment at the same time! I hadn’t heard of Hands on Journeys before but how they help local women identify their strengths and empower them to succeed is amazing. 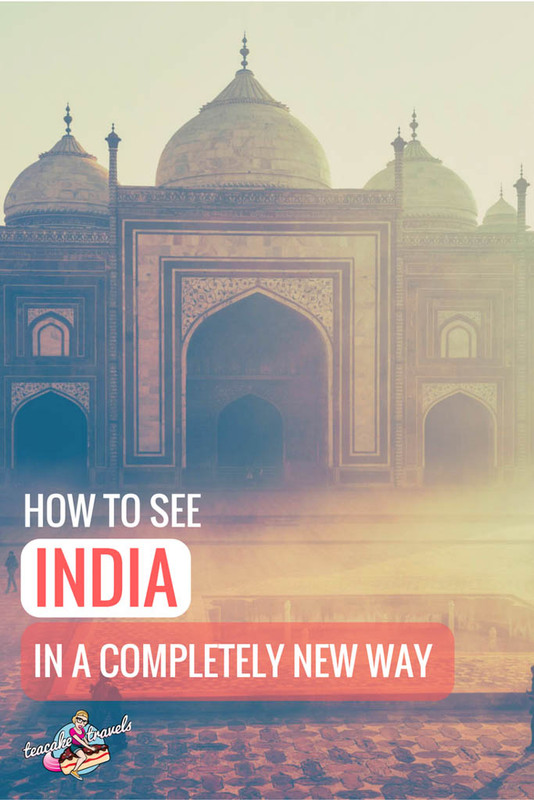 We haven’t made it to India yet but when we do, we’ll obviously want to go with them! Rachel, I can’t stress enough how much Hands on Journeys rock :) Check them out and make awesome shiz happen! Come on Mary! 2018! Let’s make this happen!! I was in the Golden Triangle last year, and I must say you rally picked the best things to see! Some really amazing pictures too!! Great article!